Goa State Museum Panaji is one of the biggest Museum in Goa. This famous Museum of Goa was established on 18th June in the year 1996 by the president of our country India. Goa State Museum is located near the EDC Complex of the capital of Goa Panjim. After the success of the establishment of Goa State Museum another small museum was established on 29th September in the year 1977 which is opened for the public in a building which was on rent at the St. Inez in Panjim. Now there are about 8,000 artifacts are available in the Goa State Museum Panaji. The artifacts available or present at Goa State Museum Panaji are : sculptures, carvings, paintings, paintings, rare coins, anthropological objects, wooden objects, bronzes, manuscripts, numismatic collection etc and many more. 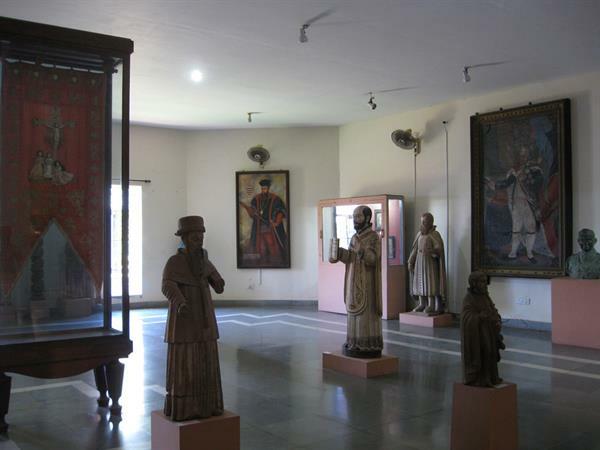 The Goa State Museum is mainly famous for the artifacts of Hindu and Jain artifacts. The Goa State Museum Panaji opens at 9.30 A.M. to 5.30 P.M. from Monday to Friday in every week. The entry ticket price of Goa State Museum is free. Also see Goa beaches which are known for it's beauty and serenity.